Would you like to listen to some gospel music everyday? Do you find the sound of gospel songs pleasing and worship songs heart touching? Wait no more because Gospel Music Radio Online is available for listening to radio gospel with spiritual music and praise and worship songs. Listen to hundreds of religious songs, praise songs and peaceful music legally! 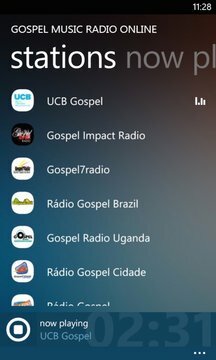 Download gospel radio app, choose your favorite gospel radio stations and enjoy listening to great gospel songs and music. Listen to Gospel Music Radio Online and enjoy free radio stations with gospel music! 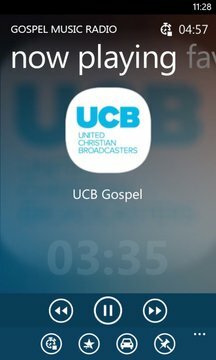 Don't miss the opportunity to get a bit closer to God – this music radio app with gospel radio stations, black gospel radio and southern gospel radio full of gospel music, worship songs and spiritual music will help you stay connected to all the good things that surround you. Feel the Holy Spirit within you through these free radio stations and radio gospel. Download and install Gospel Music Radio Online and enjoy every second you spend listening to these gospel radio stations and radio gospel. Discover which radio stations are your favorite and don't let anything stop you from praising the Lord by listening free radio stations with gospel music, worship songs and praise songs. Let the waves of free radio stations and Gospel Music Radio Online relax you. Add the radio stations you like the most to favorites and let gospel radio stations with great gospel music and gospel songs be always available on your phone. Your favorite gospel radio stations are waiting just for you! Install Gospel Music Radio Online and listen to great gospel music whenever you want! All the radio stations in this application are used with the permission of their owners. If you have any questions, comments or suggestions, please feel free to contact us.